A trusted brand name for many years, Companion has many categories covered in the outdoor market. Gas stoves and accessories, camp showers, portable toilets and chemicals, fridges and freezers, lanterns, headlamps, strip lights and spotlights, tables and chairs, tents and shelters and much more. 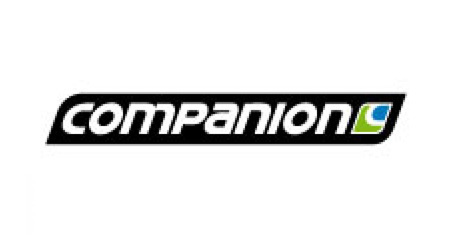 Companion also offer the Mammoth range of fridge/freezers, a pop up range of tubs, buckets, mugs, bowls, kettles and kitchen accessories, as well as the Rhino range of chairs and beds.